Egoscue is a proven method that gets to the root of your chronic pain by returning your body to proper alignment, function and balance. Egoscue therapists work with you to develop a series of gentle corrective exercises that will not only alleviate your pain, but prevent future pain and injuries. 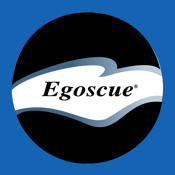 This app is designed for clients of the Egoscue Method to share their success stories and view the stories of others. As a referral based company, Egoscue Results brings clients worldwide together to spread life changing messages of hope and perseverance.